“Sea change” is a uniquely Australian phrase, adapted from a Shakespearean play, which describes abandoning the rat race of city living in favour of the chilled out lifestyle of the coast. It was made famous thanks to the ABC series of the same name which triggered a real estate boom on Australia’s east coast, particularly in New South Wales. Now, thanks to Surf Life Saving Lotteries, you have a chance to experience your own sea change with a luxury, eco-friendly beach house on the Tweed Coast of New South Wales up for grabs in the latest draw. But time is running out – ticket sales will close this Sunday the 13th of December. The sea change phenomenon has had a fascinating effect on real estate and tourism in rural coastal areas, as people of working age flock to these areas in order to service the needs of local retirees and transient tourists. 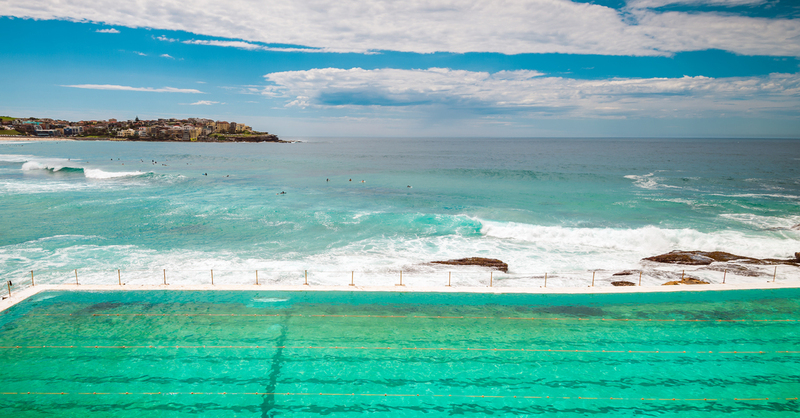 According to the National Sea Change Taskforce, a group consisting of coastal councils around Australia seeking to ensure sustainable growth in their communities, the rate of growth in these areas is 60% higher than the national average. With another million Australians expected to make a sea change away from urban centres by 2020, this isn’t likely to decrease any time soon. Your own sea change begins with a brand new home only 5 minutes’ walk from Casuarina Beach in northern New South Wales. Close to shops, bars, and restaurants, your new home (or home away from home) is perfectly located to take full advantage of the coastal lifestyle. This gorgeous home is valued at $966,540 and includes an interior design package to the value of $111,540. Built to exceed the 6-star energy rating required of all new homes in Australia, this eco-friendly “green” house was awarded a rating of 8.5 stars, thanks to its solar passive design, lighting and insulation. It comes with a state-of-the-art energy monitoring system which allows you to monitor usage, and is constructed of 100% recycled materials. With its own solar power, solar hot water, and rainwater tanks, you have the potential to go “off-grid” with the addition of storage batteries. Sell it, rent it, or call it home – whichever you choose, you’ll be setting yourself up for life. If you choose to sell or rent, you can create a positive cash flow and use the proceeds to make your dreams come true! If the allure of owning property just isn’t for you, you can opt to create your own prize to the value of $700,000. With a selection of motor vehicles, marine craft, holidays, property, and cashable gold bullion, you have more flexibility to customise your winnings. The choice is yours! How do I louse register and buy tickets? All you need to do is visit https://www.ozlotteries.com/signup/new to register an account.